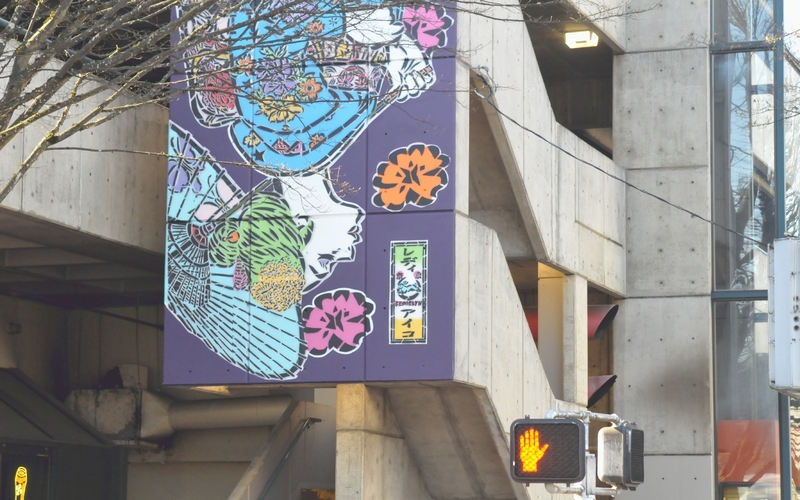 The bottom geisha was upside down, with flowers floating in front of her face. 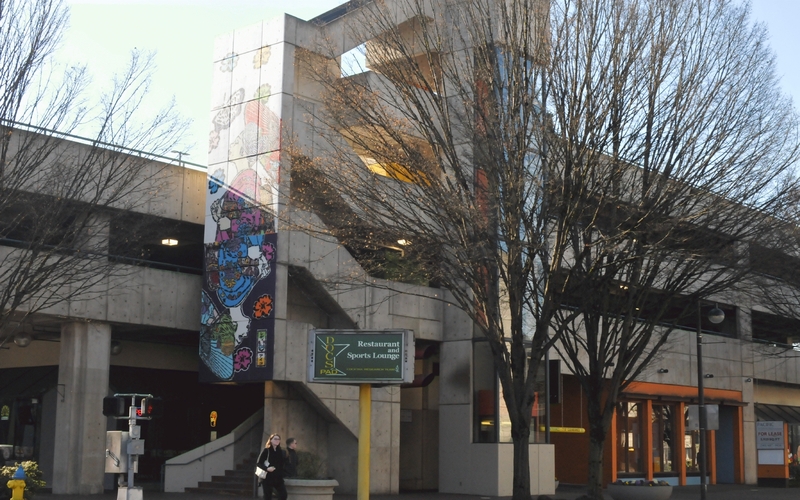 Bare winter trees surrounded the mural, which made it easier to see than summer full trees would have allowed. 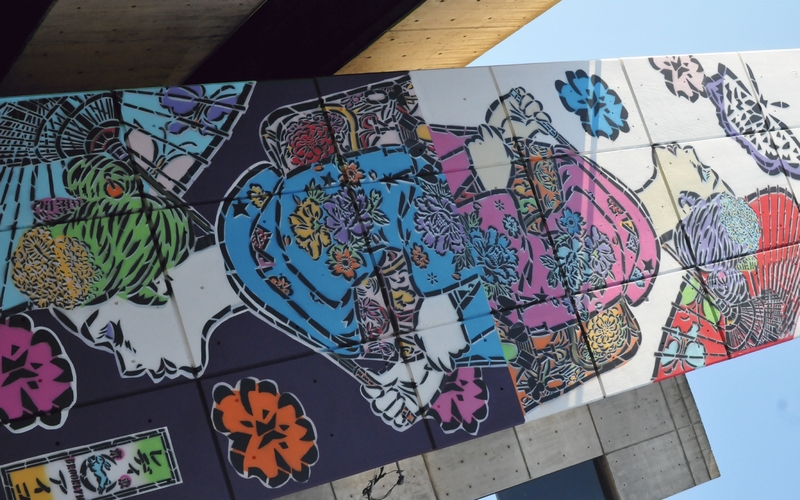 The mural depicted two geisha women, one upside down at the bottom, the other right side up on the top. They represent the duality of day and night. 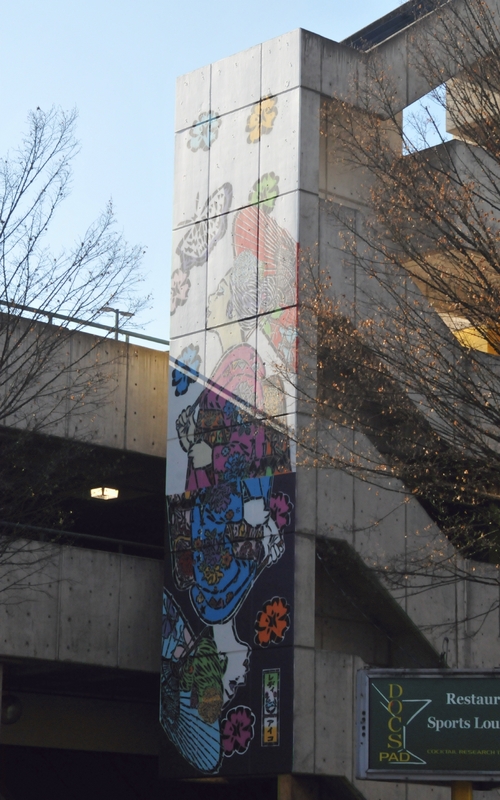 The mural was painted on the side of a staircase that led up to various levels of a parking structure. 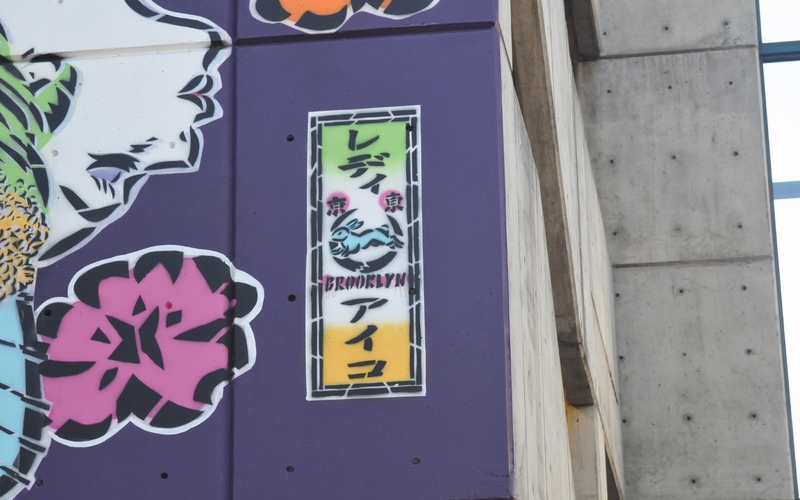 The artist's signature contained the word "Brooklyn," because the artist Lady Aiko lives in Brooklyn. Both geishas: the lower clearly in night, and the upper clearly in day. Both carried parasols, the lower parasol decorated with pink and purple butterflies against blue, the upper parasol decorated with green and blue butterflies against red. The lower geisha's outfit was blue and decorated with flowers. The upper geisha's outfit was pink and also decorated with flowers. 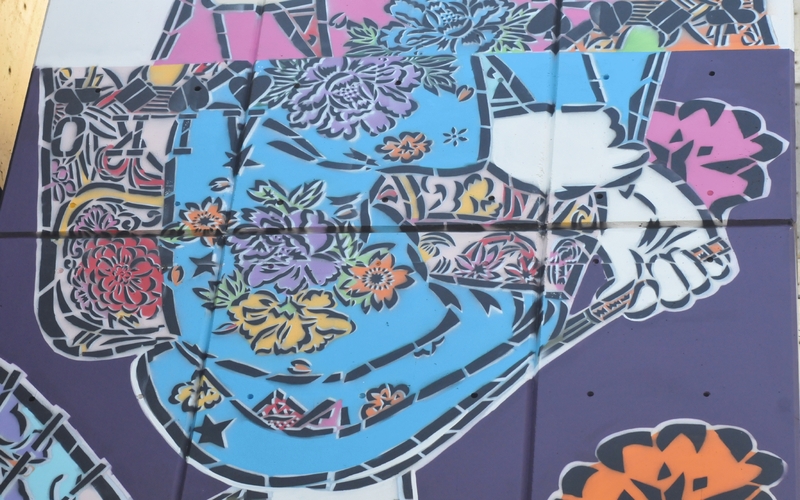 The divisions in the concrete of the wall, gave the mural the feeling of a mosaic wall. 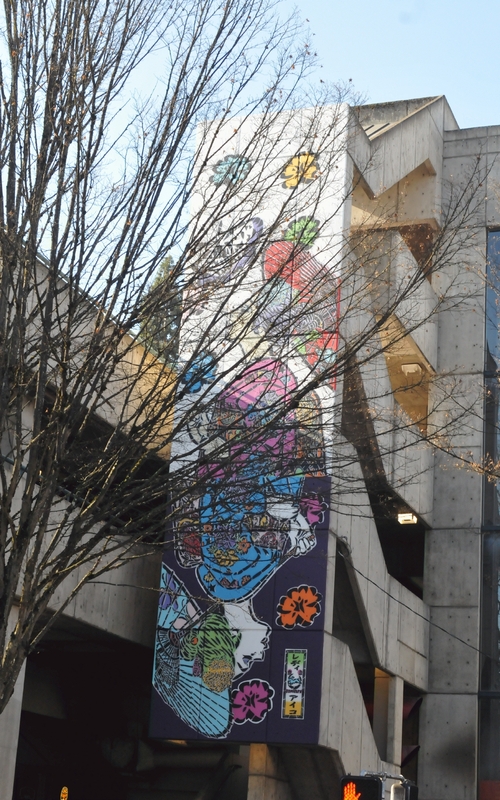 A closer look at the top of the mural. 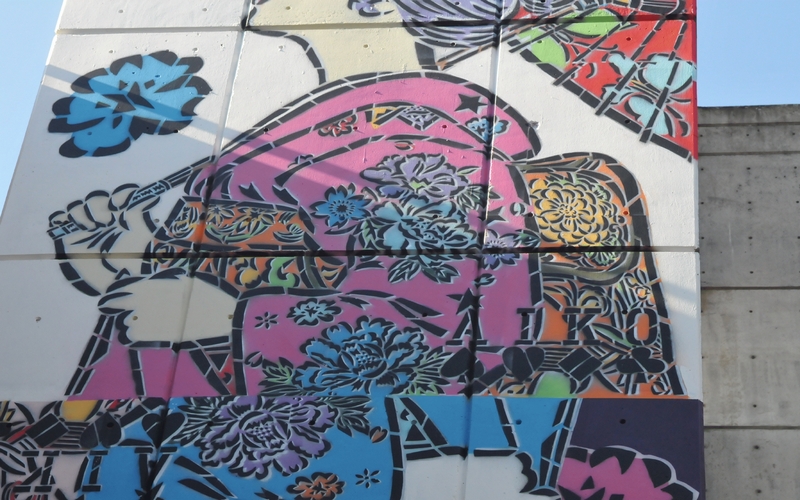 A butterfly flew over the Geisha's face. 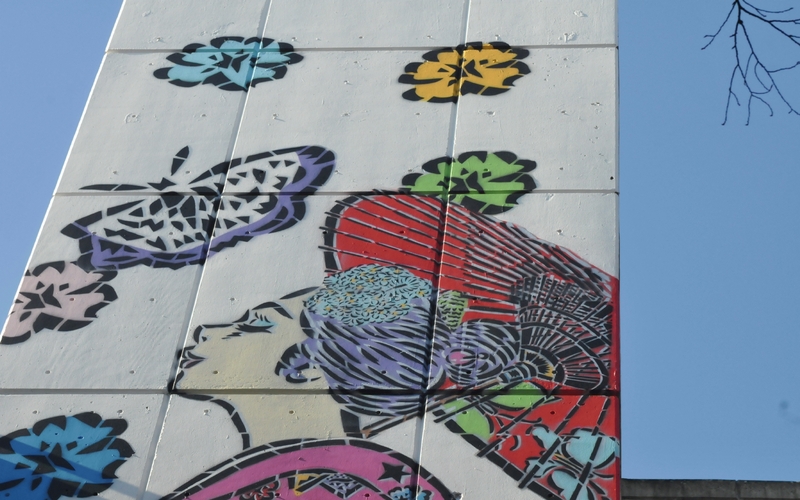 Note that a butterfly is included in every one of Lady Aiko's murals, and functions as an artistic trademark.